Blockchain and Shipping: Will New Technology Revitalize The Shipping Industry? For those of you holding shipping stocks, you might be interested in learning how blockchain technology is impacting the transportation industry. Here is why blockchain and shipping matters for investors. Contracts used by shipping companies can be insanely complicated. It has historically been extremely risky to transport goods across oceans. Frequently buyers and sellers don’t know each other and if a ship is lost at sea, all parties to the deal can stand to lose everything. As a result, shippers have devised all sorts of complicated contracts designed to split the risk between buyers and sellers. Shipping stocks have taken a dip in recent years. However, this situation may be starting to change. The shipping industry has historically been challenged by inefficiencies and in some cases fraud or mismanagement by commodity producers and shippers. But according to TechCrunch, the growth of the international supply chain may restore the industry. According to Patel, blockchain technology decentralizes shipping logistics, which can be beneficial for such a large-scale industry. The global aviation industry alone transported $6.4 trillion worth of cargo in 2012, and that’s just one segment of the intermodal supply chain. Naturally, the logistics involved in coordinating global transportation, especially during the holidays, is immense. While transportation logistics have posed a challenge to many companies, enterprising tech companies are treating it like an opportunity for innovation. Blockchain technology (the technology behind Bitcoin) decentralizes data storage. So, by breaking up this information, one single source cannot be hacked. This creates a higher security model where multiple parties control the logistics in unison, reducing transaction risk. In addition to transportation and Bitcoin, blockchain technology is also being applied to healthcare records and other forms of data. According to TechCrunch, the shipping industry will be more efficient and visible through blockchain processes, offering investors and shipping companies additional security. These growth projections have led some professionals to suggest investing in shipping, something that many investors were once wary of. And as for participating companies, Maersk is working with IBM to apply this technology, creating a more streamlined process for the massive quantity of shipments they handle. 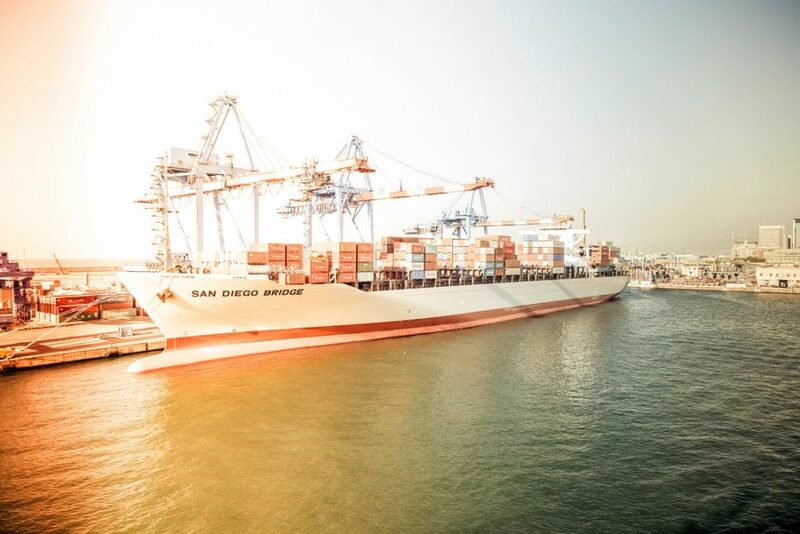 While the New York Times reports that the shipping giant is not guaranteed to experience success, the possibility may be enough for investors to regain hope in the shipping industry as a whole. Will Blockchain and Shipping Restore Investor Confidence? Despite the New York Time’s optimism, blockchain and shipping probably won’t revolutionize the shipping industry. It may reduce company costs marginally but it is unlikely to change the fundamentals of supply and demand for commodities. Cargo rates, and accordingly shipping company margins, will continue to depend more heavily on labor costs and international demand than marginal improvements in management. Next post: What’s Happening to Your 2018 Taxes?